« Noi Quattro opened its doors! 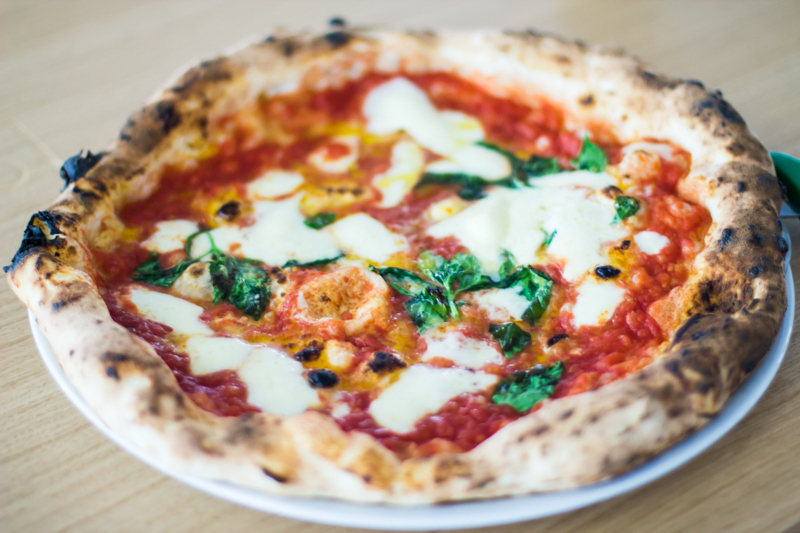 IT‘s a common misconception that to find the best pizza you must go to Italy. It’s a bit like eating sausages in Germany, or waffles in the Netherlands – never as good as you imagine it to be. The Italians might have invented pizza (though the Ancient Greeks have a fairly solid claim), but the best we’ve eaten has always been back here, in Manchester, in places like Rudy’s, Blend and Double Zero. But then, we would say that, wouldn’t we? So to Noi Quattro, Manchester’s newest pizzeria, located in Northern Quarter, which sees four young Italians – Elisa, Alberto, Paolo and Daniele – bring it to the Mancs with ‘real Italian pizza’ made by actual Italians with all Italian ingredients in Italian-made ovens on the border of Little Italy (that’s Ancoats). But in Manchester. Having already carved out a reputation for hand making the city centre’s finest fresh pasta at the Pasta Factory, the four amici (Noi Quattro translates as ‘we four’) have turned their hands to Italy’s other main culinary export (not you Gino) in a new 100-cover restaurant space a short burrata throw from their original in Shudehill. Elisa hails from Turin in Northern Italy – as do Alberto and Paolo. She tells us that the idea for their second restaurant came about when Daniele, a Neapolitan, joined the team. “He’s from Salerno, close to Naples, so obviously he loves pizza,” says Elisa. “Pizza in the south is very different to pizza in the north of Italy. Daniele started teaching us how to make real Neapolitan pizza: soft, light and chewy with a big crust. 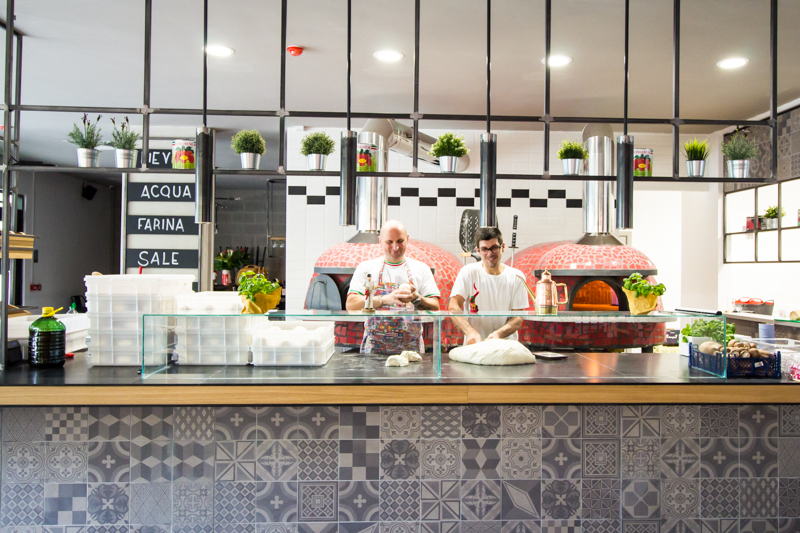 We were all missing the feel, the buzz of a true Italian pizzeria – so we thought ‘let’s just open our own’. But with the likes of Rudy’s, Honest Crust, PLY, Dough and Slice all operating in the area, are they confident that they can pull in enough punters to get a healthy slice of that pizza pound? And has Manchester’s most creative and idiosyncratic neighbourhood been kind to the four young Italians? 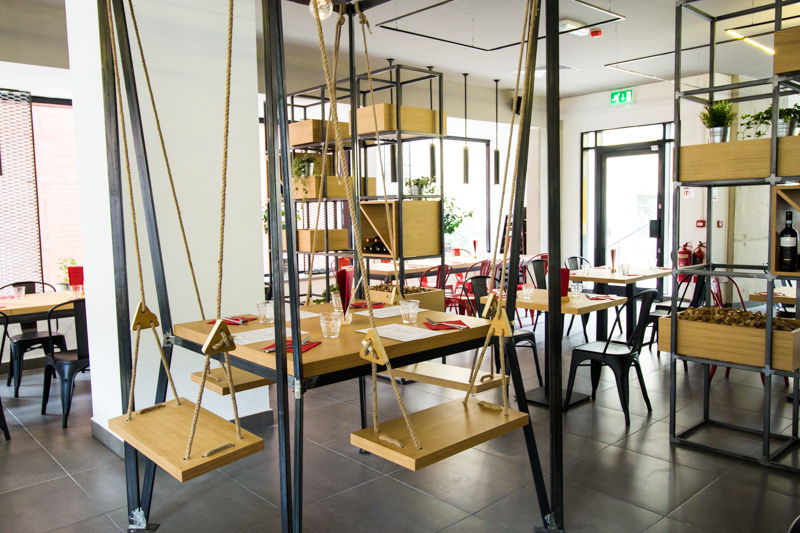 Noi Quattro has a restaurant table surrounded by four swings… because why not?